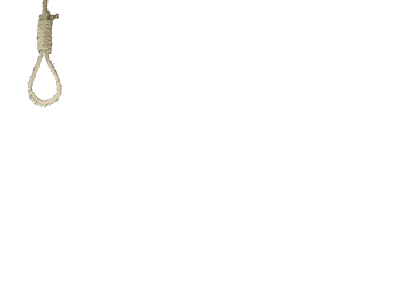 We are going to make a simple Hangman game using Flash Actionscript 3 (AS3). At the end of this tutorial, you will have a working Hangman game that you can use and customize as you wish. The completed code is given at the end of this document. The first step is to prepare the basic documents that we will need. 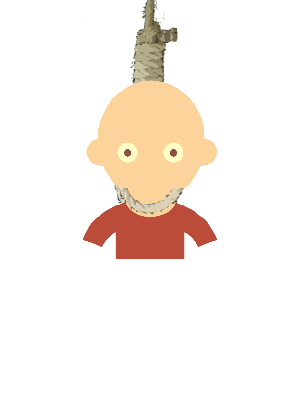 We need to create a Flash file named Hangman.fla and we need to create a document class called Main.as, where we will hold most of our code. We will create one other .as file as we work through the tutorial, but we’ll discuss that later. It’s good if you set the Flash document size to: Width – 800 and Height – 600. This makes the movie nice and big, but it will fit into most laptop screens without scrolling. *If you are unfamiliar with document classes, there is a quick guide here. OK, we’re going to need to set up our .fla file and add some graphics. We will only need two frames on the main timeline. The first frame is for the introduction and the second frame is for the game. Give this clip the instance name Man – remember that capitalization counts here – and position it on the screen as follows. OK, now to address an annoying little issue. In Flash CS5 and up, when you use dynamic text – especially if you do not use TLF text - you will usually need to embed which font and characters you are going to use. Failing to do this will mean that some or all of your text is not visible. 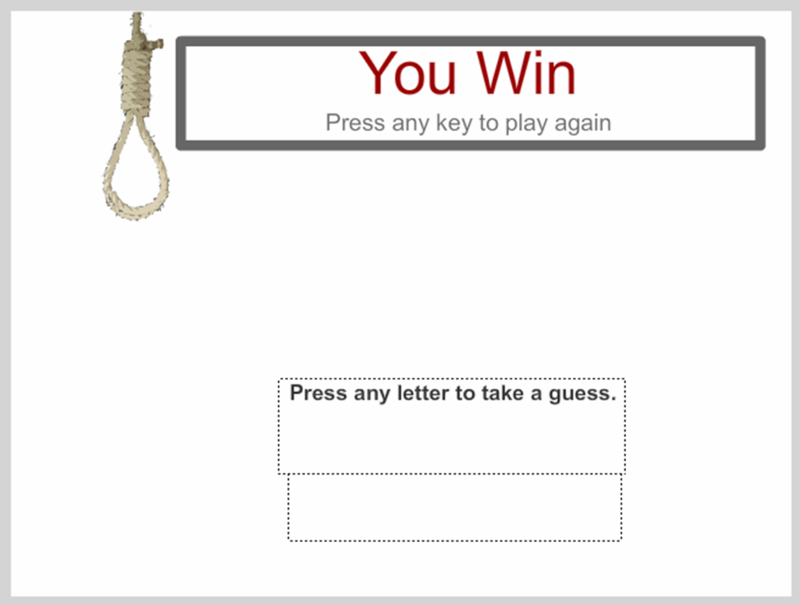 At the bottom of the screen, we wish to display a simple line of instructions and then another empty dynamic text box, where we will display the letters that the player has gotten wrong. I am using red for this, since it will be used to display the wrong answers. We will use the instance name: BadLetters. As always, pay attention to capitalization. Notice how I have used descriptive names like ‘DisplayClue’ and ‘BadLetters’. I could save some typing by using short forms such as ‘DC’ and ‘BL’, but we always want our code to be as human-readable as possible. Trust me, it makes debugging a whole lot easier. Next we need to create blank tiles where the letters will appear and we need you create a banner with the message You Win! We will recycle the same banner to display You Lose! We will use two different techniques for the tiles and the banner. Now select it and delete it from the stage. Don’t worry, it will still be in the library! 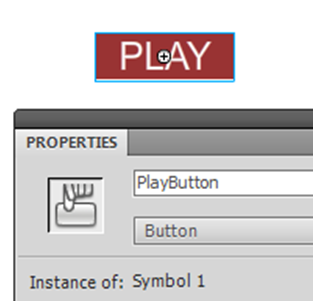 By giving it a class name and exporting it for actionscript code, we will be able to create it on the sly when we need it! Now for the banner message. 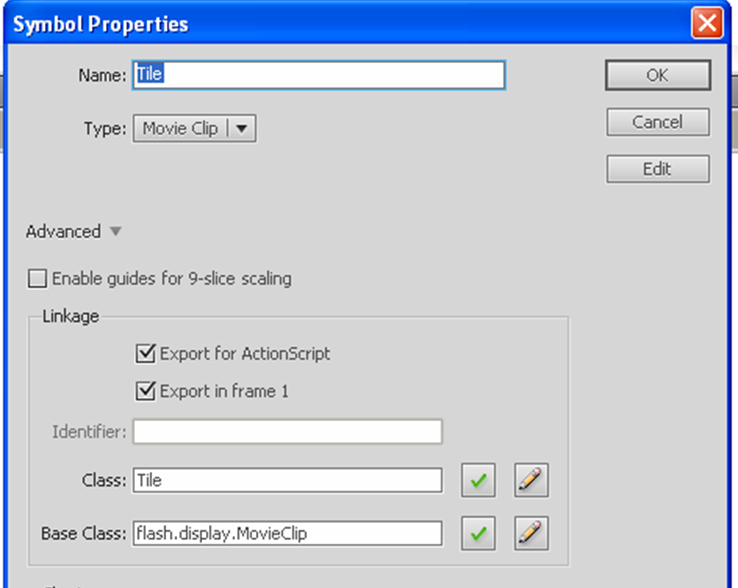 Create a move clip with the instance name MessageBoard and with two frames as follows. Well that’s all the graphics and layout done, now it’s time to pay attention to the code. For this kind of project, it is useful to lay down some pseudocode before we proceed, so we can plan the flow of our code. Great! Now we can split our project up into bite size steps, and set short-term targets to achieve. In reality of course, there will be a couple of steps or issues that we didn’t predict. I have added a couple of notes, showing where to add the import statements and where to define the variables. This links the the ‘Tile’ movie clip that we created in step 2. This refers to a custom class ‘Wordlist’ that we will create in just a moment. Note that if you play the flash movie now, it won’t work. This is because we haven’t created our WordList class and we haven’t written the SetUp(); function. Let’s remedy that. 1 Reusability is a key concept in programming. We can create a list of words and clues and then reuse them for other games if we wish. 2 If we were to have a large list of words, we don’t want it to clutter up our main code. My ‘Word Strips’ game at www.flashbynight.com/strips requires a list of all the four-letter words in English, for example. That’s a few thousand words. 3 This is a tutorial and you’re working through it so you can learn new stuff. Basically what we’ve done here is to create two arrays to hold our data. Obviously, you can use different words and clues if you wish. You can add as many as you like, we will make our code flexible in that way. Later, to access our list of words from the main code, we will use: wordlist.Words and to access the clues, we will use wordlist.Clues. Save WordList.as and close it and we can concentrate on our main code again. Then test the movie by pressing CTRL+ENTER. 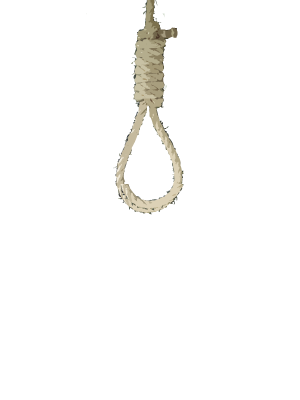 2 When you go to the second screen, the hangman graphic and the banner will flicker, if you have followed the instructions to the letter. Don’t worry, we will sort that out in just a sec. Let’s flesh out the SetUp() function. First, we set DefeatCounter to 0. We will use this variable to track the number of incorrect answers. When it equals six, we will halt the game and the player loses. 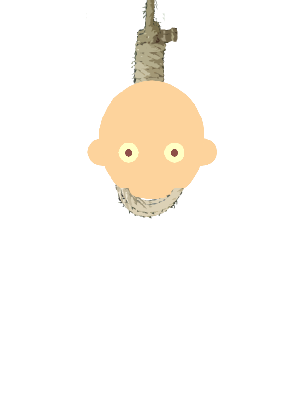 Next, we stop our Man graphic on the first frame, so that only the empty noose is showing. Then we can trace our list of words and clues to make sure our WordList class is functioning correctly. The last four lines all call the remaining functions necessary to begin the game. Sure, we could combine them into one big function, but it’s good coding to use many smaller functions – they are more reusable and easier to debug. It also makes our code more readable to others. Now reactivate the call to ChooseAWord(); and we’ll look at how to choose a word at random. To walk you through it: First we use a variable rnd to choose a random number between 0 and the length of our word list minus 1. Note that the random number starts at 0, not one. This is actually handy since arrays in flash are zero-indexed – the first item is at position zero, second item at position 1 etc. Another thing to note is that we previously defined rnd as an integer. If we had defined rnd as a Number, the random number would have decimal places and create an error later. We use our random number, rnd, to choose a word and a corresponding clue, then trace them to check it’s working. Simple! Test it out. Well, that was easy, wasn’t it. The split() function is really handy for creating word games. string.split(“”) splits a string into characters. string.split(“ “); is handy for splitting a sentence into words. string.split(“.”) could be used to split a paragraph into sentences ,for example. To walk through it, we make our MessageBoard invisible to the user. 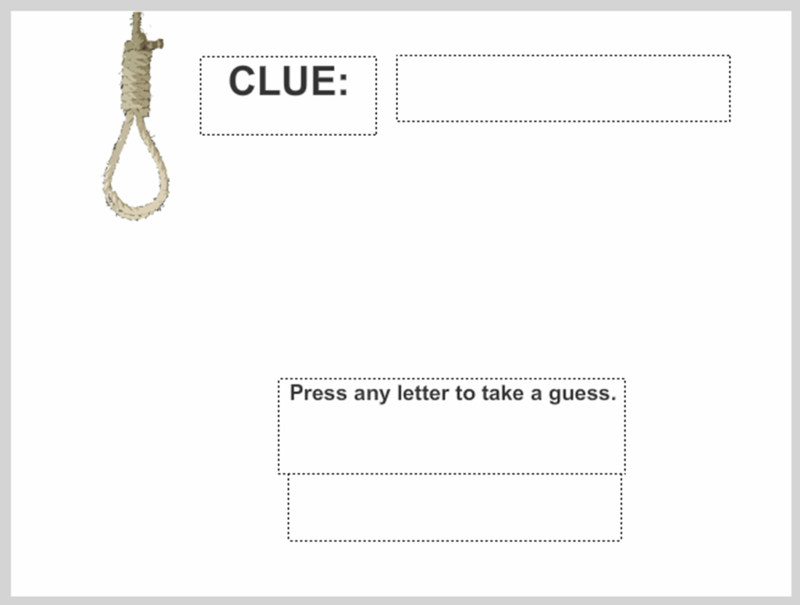 Next we display our clue on the screen in the DisplayClue text box. Finally, we add the appropriate number of tiles (blanks) on the screen. To do this, we create a new tile and add the instance to the screen. We use the iteration variable ‘i’ to manipulate the x position on the screen, starting at the point 300 and we use the y position 250. Play around with the numbers here to change the position on the screen where the tiles are displayed. Finally, we use another array, TileArray, to hold a reference to the tile. Therefore, TileArray is an array of objects and we can use it to easily manipulate the various tiles. Using an array of objects is also a must for arcade-style games where you need to track enemies and bullets etc. Test the movie again now. We need to be able to read keystrokes from the player and respond to them. To do this, we need to add an ‘event listener’ that will listen for any keystroke and a corresponding function to act on it. Okay, one step at a time. Earlier we defined a variable called FirstPlayThrough and set it to true. We use it here to add the game controls only if FirstPlayThrough==true. We wish to avoid the situation when we add another listener if we play the game again. This can lend itself to odd behavior. 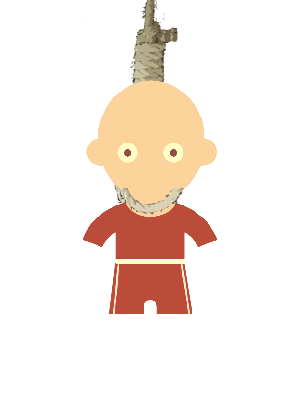 Next, we have the line: stage.focus=stage; Previous to this, the user clicked the PLAY button, so we need to refocus any listener to the stage, otherwise the user will need to manually click on the flash movie before keystrokes are recognised. Notice that the code for a key listener is a bit different from the code we attach to a button to listen for a mouse click. 1 The result of a key press is recorded as a number, so we need to do something funky to convert it to a letter. UserKeyPress = ConvertToLetter(e.keyCode); - we send the key code to a function ConvertToLetter() and use the output (which will be a string) as the value assigned to UserKeyPress. At the end of this, if the user pressed ‘a’, then UserKeyPress=”a” and so on. 2 ProcessAnswer(UserKeyPress); - We need to send our letter to another function to process it and see if this letter is part of the word or not. So now we have two functions to write. Let’s start with the one that converts a key code to a letter. First, we should know that the code 65 corresponds to the letter A and 66 corresponds to letter B and so on. That’s the first of our two functions, now we need to process the user’s keystroke. This will be the longest function for this particular game and it will control all the other functions that we need to complete the game. 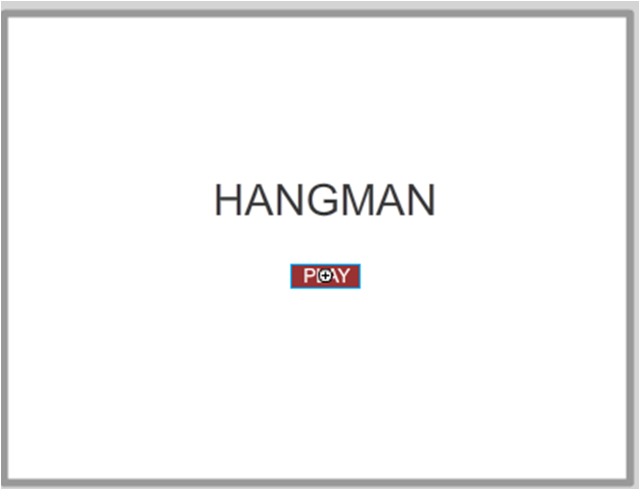 If the letter is not found and the letter is not previously used, we need to 1) change our hangman graphic with AddBodyPart() 2) Display the user’s letter on the screen 3) Check if the game is over. We have six more little functions to write. For testing purposes, let’s add empty functions for each case. We can test the game now. At this point, the correct letters will show up on the screen, but not the wrong ones. There are six little functions left, all quite simple. We assume the game is won (Win=true;) and then we check the letters displayed on the tiles against out Letters array one by one. If any do not match, then we change Win back to false. After that, if Win is still true, we display the MessageBoard at frame 1. 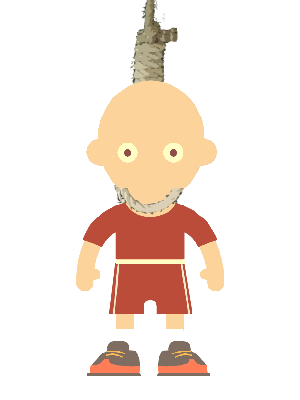 Test out the game again. Now if you get all the letters, the victory message should be displayed. We take the UsedCharacters array and check if it contains our letter. If it does, we return ‘false’ and the function stops, otherwise, we return ‘true’. Test the movie again. You should see the graphics change when you give a wrong answer. First we increase the value of DefeatCounter, because we only access this function if a wrong letter has been entered. Next, the game is lost if DefeatCounter==6, because the user is allowed six tries. When the game is lost, we set Lose to true, which will prevent more guesses being entered and we will display the MessageBoard at frame 2, where the You Lose! Message is. Test the movie and lose the game on purpose. Because the array is zero-indexed, the length can be used to open a new slot. For example, if the array is equal to [“q”,”z”], then the length is 2 and the current slots are 0 and 1. Following this, we first empty the textbox, BadLetters.text=””; and then build it up again using our array and being careful to add a space between each letter. Test the movie again. The incorrect letters are now displayed. Also, since we have filled up our UsedCharacters array, the user will not be punished for two incorrect guesses of the same letter. To reset the game, we basically reset all the values and remove all the tiles from the screen and then we call our previous function SetUp(); Like the circle of life, it all begins again. 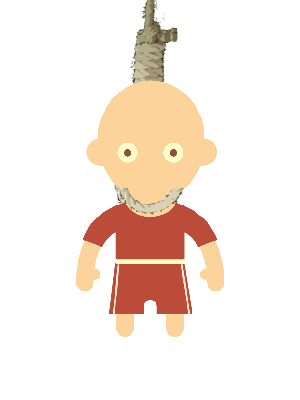 So there we have it, one fully working Hangman game. I hope you’ve enjoyed the tutorial. If so and you want to support my efforts, you can do it through Link Love. ‘Like it’ on Facebook, Tweet it, post a link on your blog, that sort of thing. I give full permission to reuse the code as you wish – but not the tutorial. Anyway, take care and happy coding.